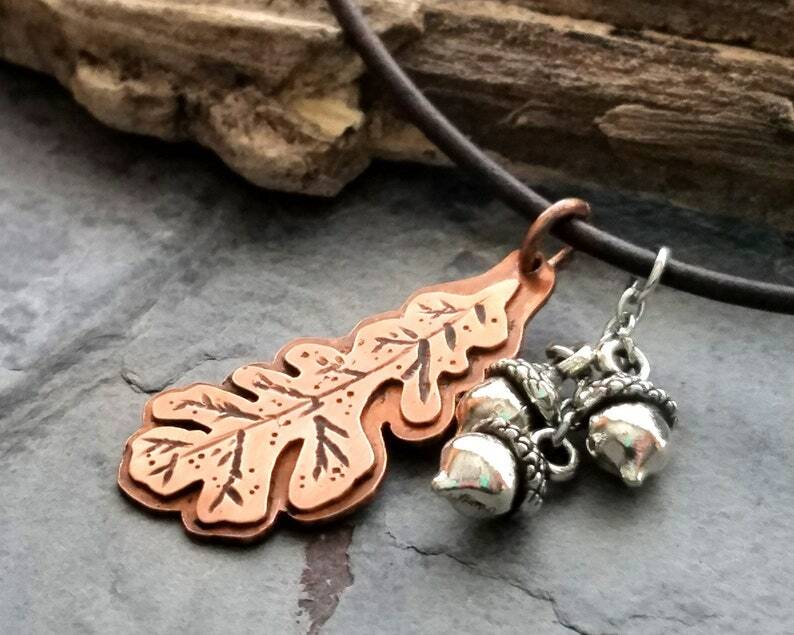 This botanical necklace features an oak leaf cut from copper and textured with leaf veins. The leaf is soldered to a second layer of copper and carefully cut to maintain the leaf shape. Three silver plated acorns dangle alongside the leaf.